The Apple iPhone 6S Plus already boasts a humongous 2915 mAh battery, but, the large 5.5-inch display on the iPhone 6S Plus eats into the battery life. In spite of that, the iPhone 6S Plus still manages to eek out a respectable battery life. If you get a lot of work done on your iPhone 6S Plus, getting a battery case for the iPhone 6S Plus is highly recommended. 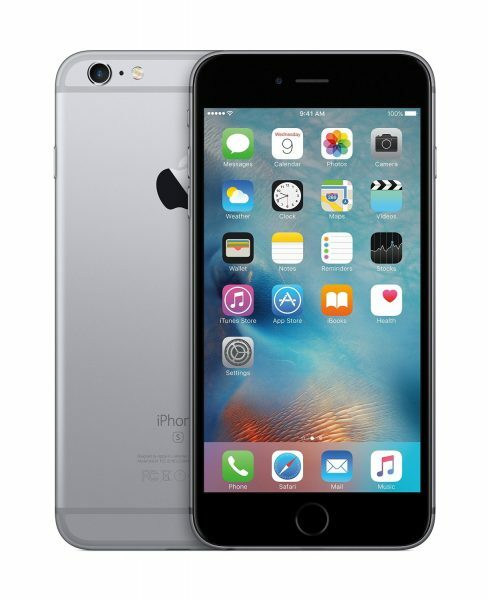 Listed below are the top 5 best Apple iPhone 6S Plus extended battery charging cases. All battery cases listed here are Apple MFi certified. 1. Alpatronix BX150plus Apple iPhone 6S Plus Battery Case: The Alpatronix BX150plus Apple iPhone 6S Plus Battery Case features a 4000mAh built-in battery that adds up to 100% extra battery life to the iPhone 6S Plus. 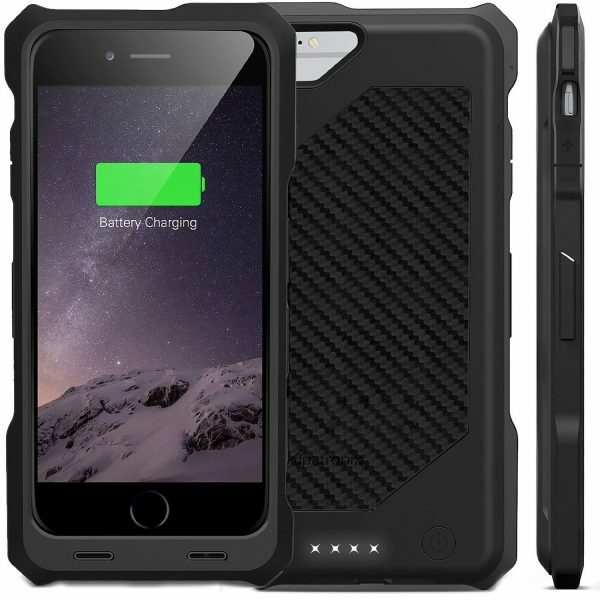 The Alpatronix BX150plus Apple iPhone 6S Plus Battery Case is a tough, rugged case that also protects your smartphone from drops, bumps and scratches. 2. 1byone Apple iPhone 6S Plus Extended Battery Charger Case Cover: The 1byone Apple iPhone 6S Plus Extended Battery Charger Case Cover is a very good battery case for the iPhone 6S Plus if you constantly run out of charge on your smartphone. 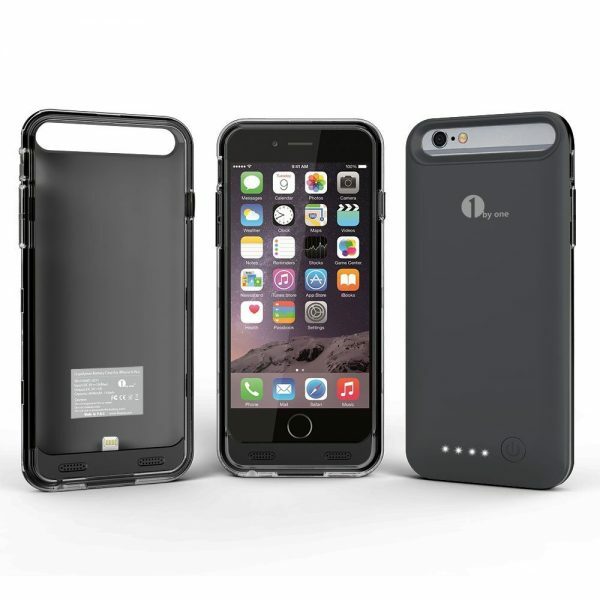 This iPhone 6S Plus battery case offers 360-degree protection and the 4000mAh extended battery should get you going for several hours. 3. i-Blason Apple iPhone 6S Plus External Battery Case: If it’s the most extended battery life you are after, the i-Blason Apple iPhone 6S Plus External Battery Case satisfies your need with a huge 4700mAh built-in battery. 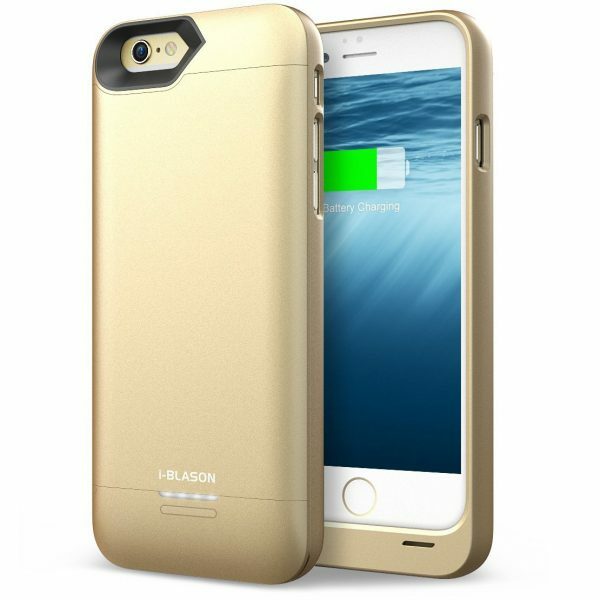 The i-Blason Apple iPhone 6S Plus External Battery Case claims to charge your iPhone 6S Plus 30% faster. 4. 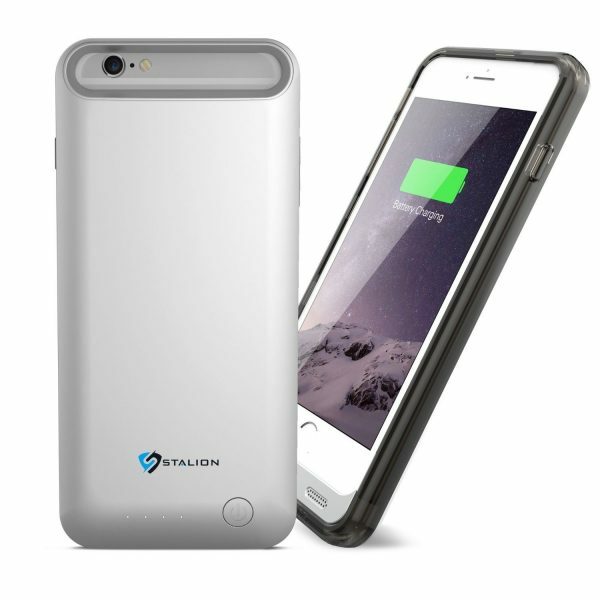 Stalion Stamina Apple iPhone 6S Plus Rechargeable Extended Battery Charging Case: The Stalion Stamina Apple iPhone 6S Plus Rechargeable Extended Battery Charging Case is a relatively inexpensive battery case with a 4000mAh battery. 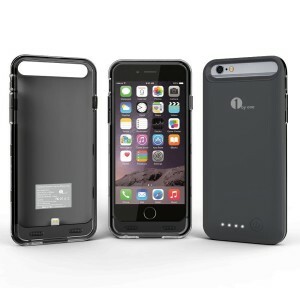 The Stalion Stamina Apple iPhone 6S Plus Rechargeable Extended Battery Charging Case is ultra-slim and features 4 LED lights to indicate the battery level. 5. Mophie Juice Pack for Apple iPhone 6S Plus: The Mophie Juice Pack for Apple iPhone 6S Plus is pretty expensive and commands a high price for its tiny 2600mAh battery. 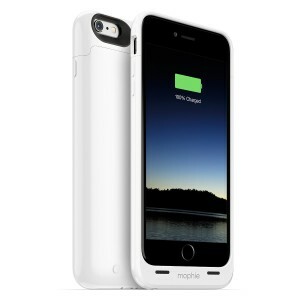 The Mophie Juice Pack for Apple iPhone 6S Plus charges your smartphone first and then charges the battery case. These are the top 5 best Apple iPhone 6S Plus extended battery charging cases.